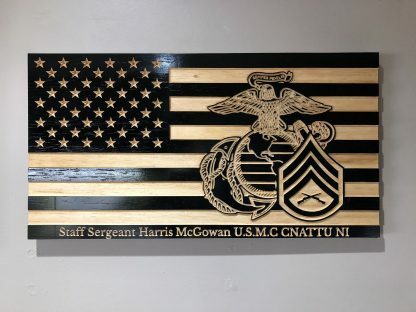 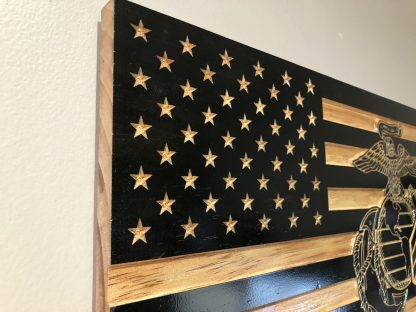 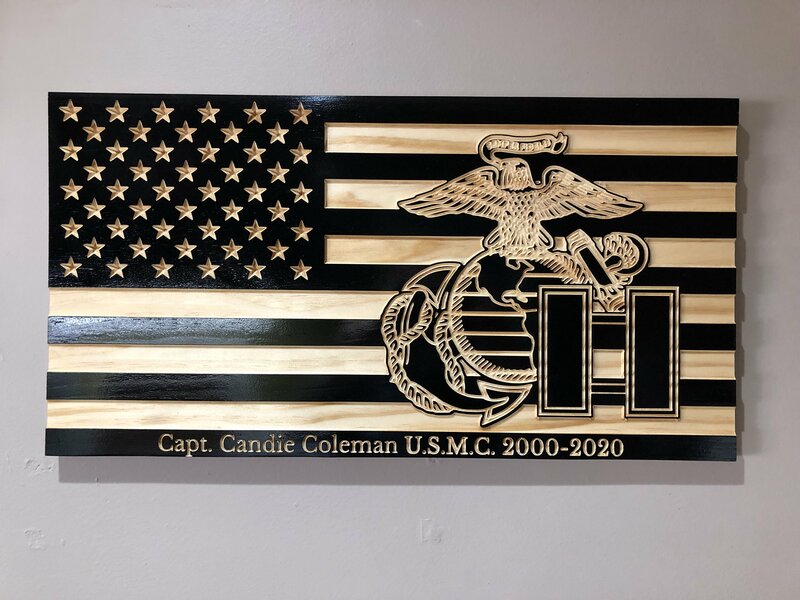 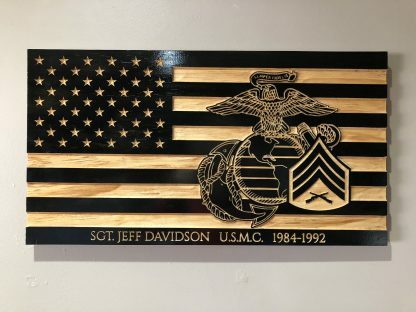 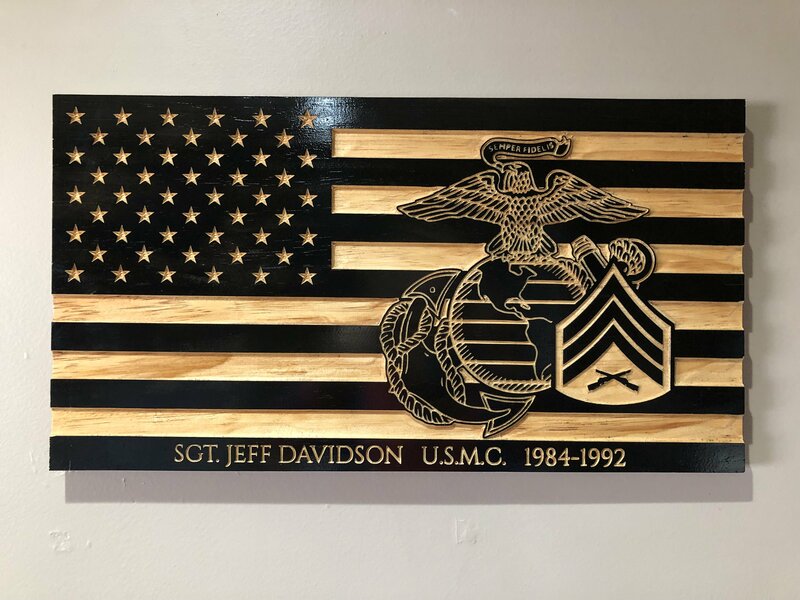 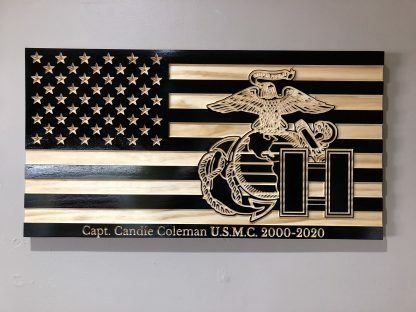 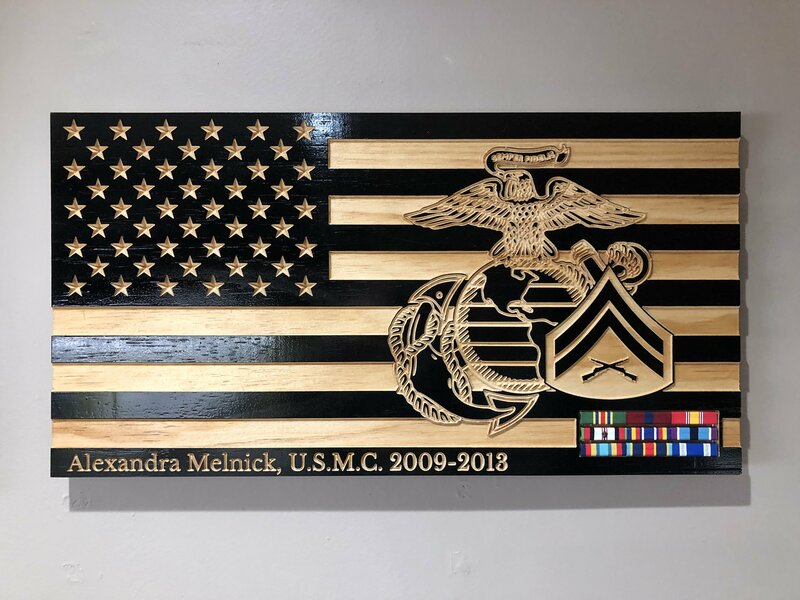 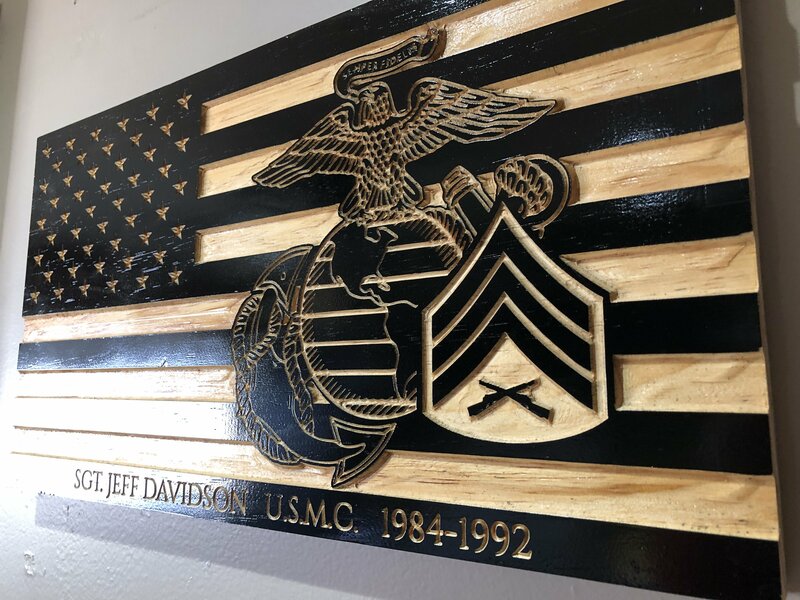 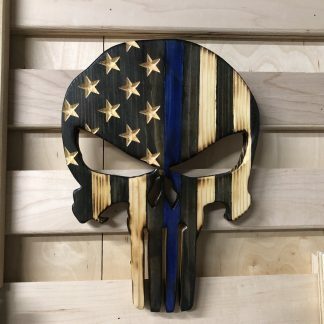 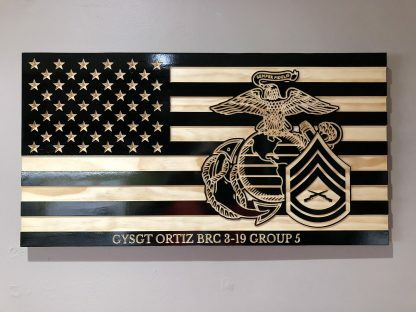 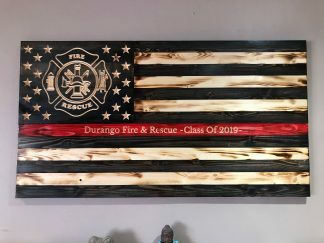 Handcrafted Wooden American Flag with Marine Corps EGA and Rank Insignia. 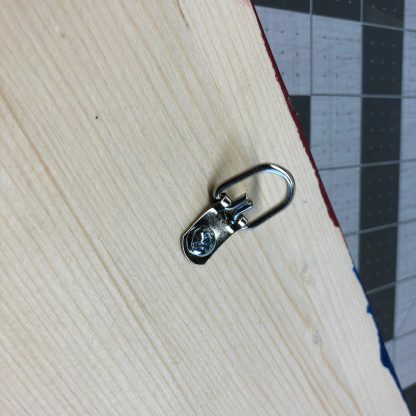 You have the option of doing EGA only or including a rank insignia. 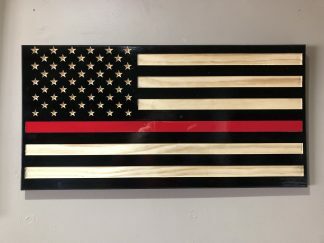 As well as optional text line.